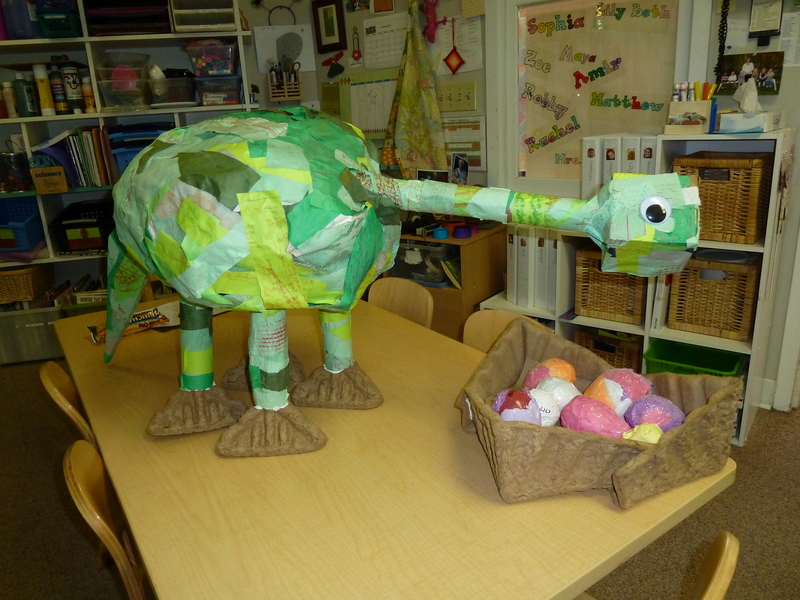 Mrs. Allan, our art teacher, was inspired by the children’s study of dinosaurs. They impressed her with their questions and facts about the creatures they were studying. Thus, an idea was born. 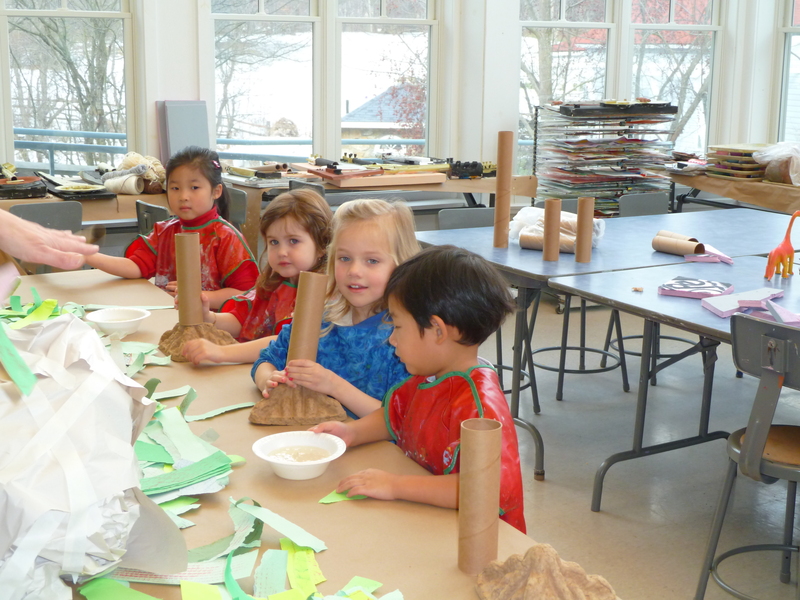 The group began a sculpture project two weeks ago. 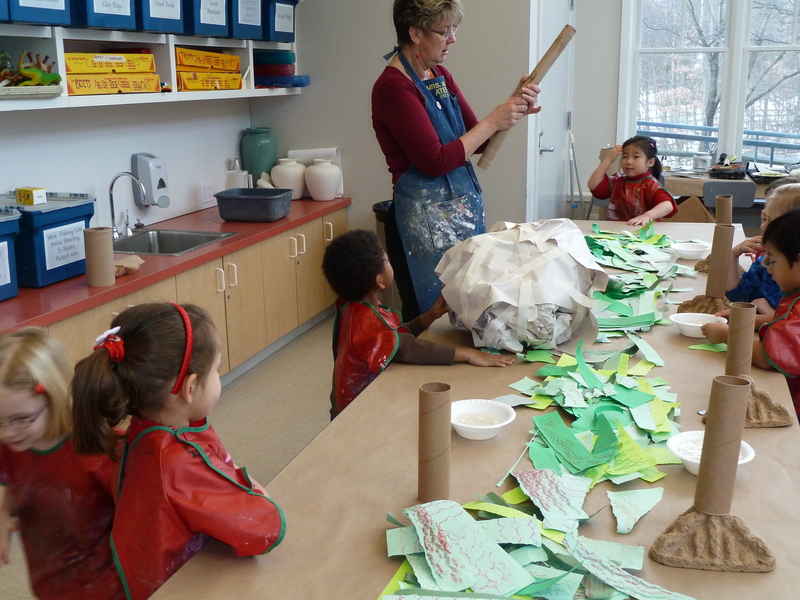 By the beginning of last week, they had completed our first sauropod model. 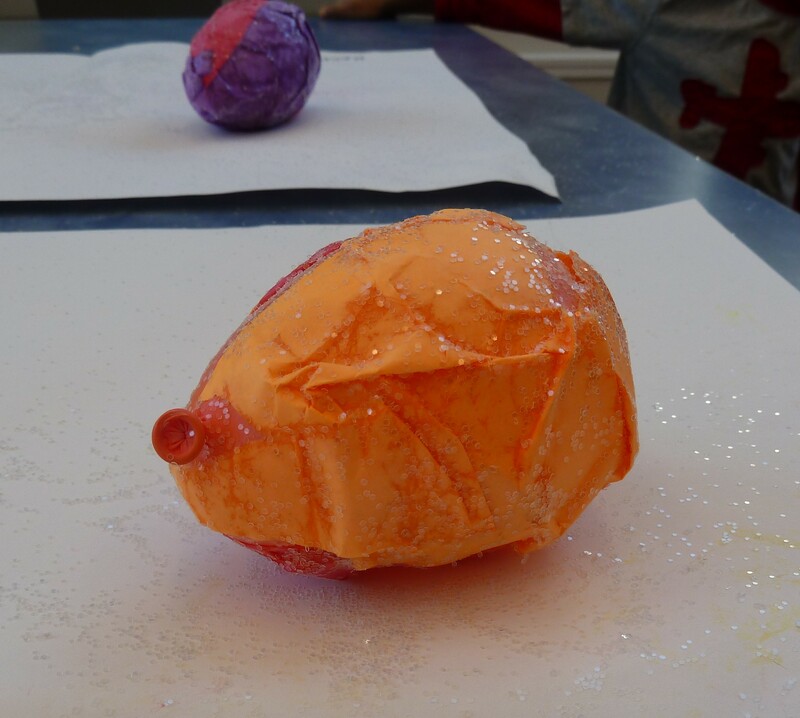 In Mrs. Allan’s class, they used torn copy and construction paper to paper mache a large, scrunched paper ball. They used recycled materials for the legs, neck, and tail. 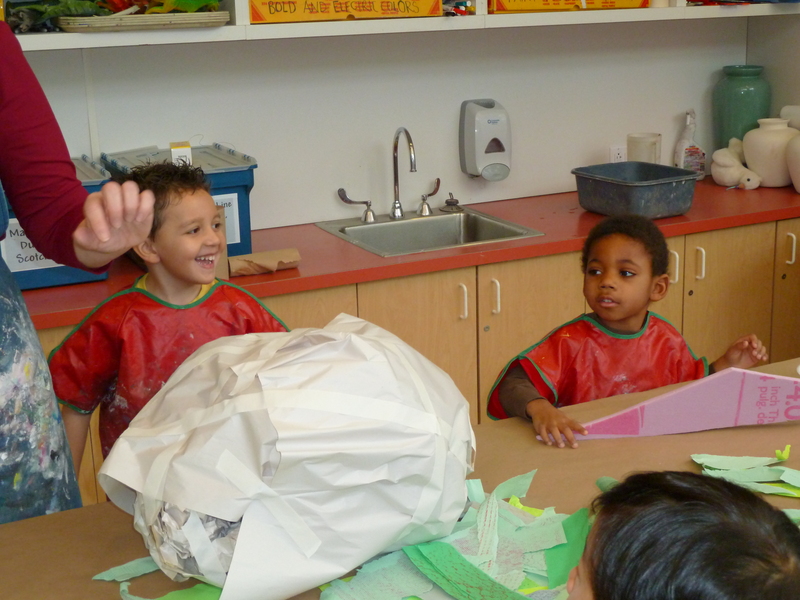 They also designed eggs and a nest for our new classmate. We then realized we had a small problem. No one knew what to call this lovely animal. Of course we knew that it was a sauropod and S. insisted that it was a Brachiosaurus (she added nostrils to the top of its head in case there was any doubt). Yet, the poor creature did not have a name. So we opened up the question on our Morning Message. 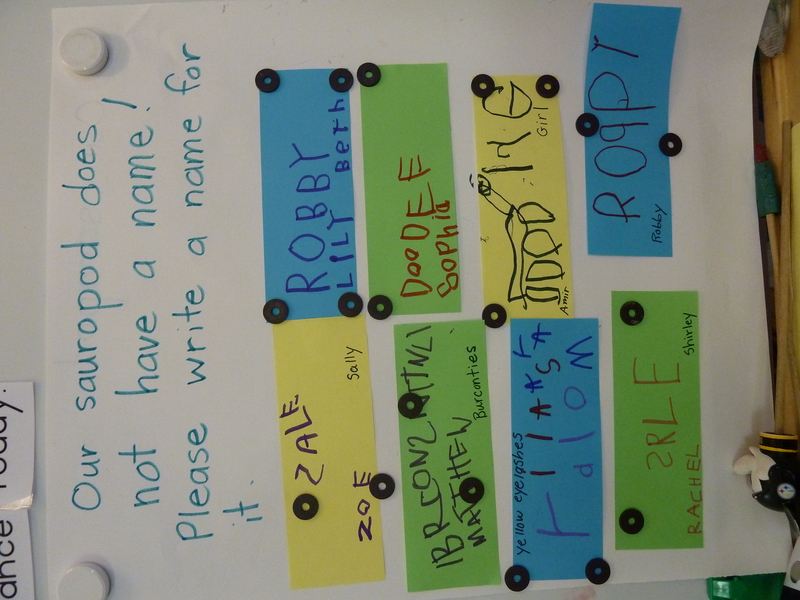 We had seven different suggestions (two thought it should be named Robby) and are currently at an impasse as to the final vote. We are considering putting the decision in the hands of the older children. Maybe if set up a voting area in the entryway, children could vote as they arrive in the morning?